Happy New Year to you all !!!! 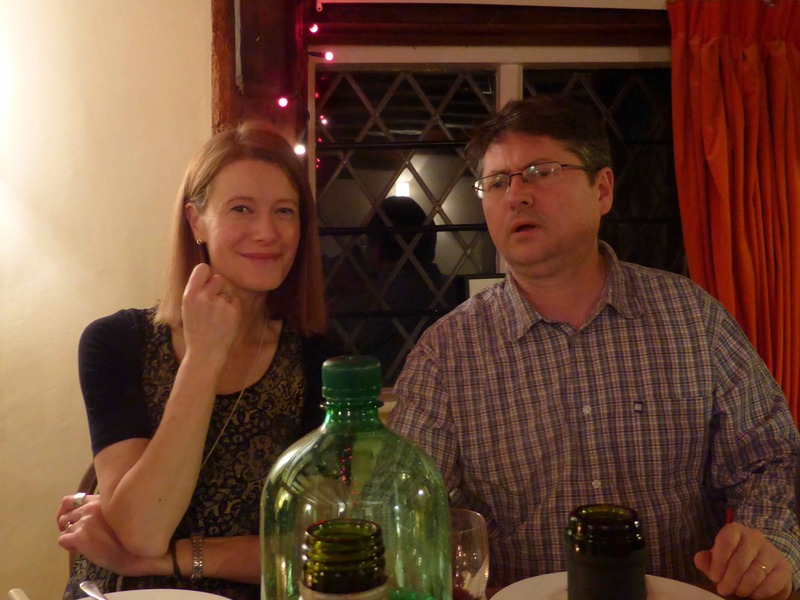 We had a fantastic NYE, thanks to our hosts, David and Annette who conveniently live just 3 houses away. James, Harvey and I joined them and their friends for a delicious supper. 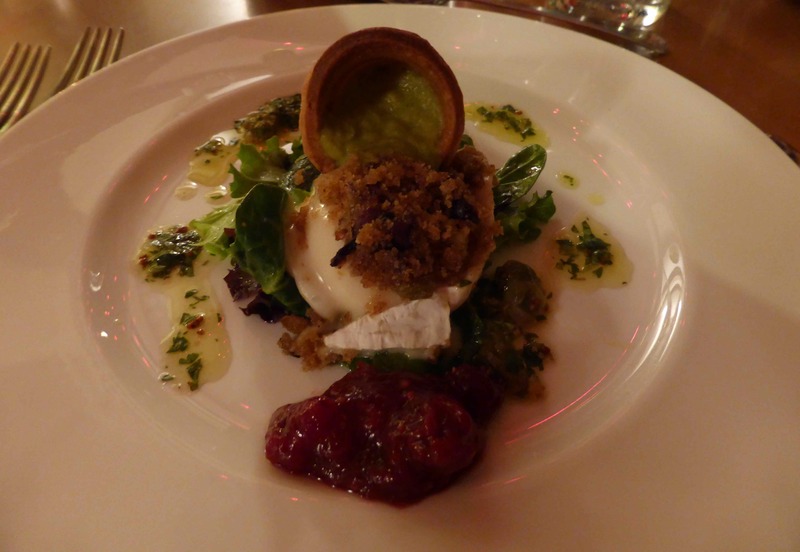 The starter, all made by David, was definitely one of the best starters I have ever had, anywhere. I am just sorry my photo does not do it justice. 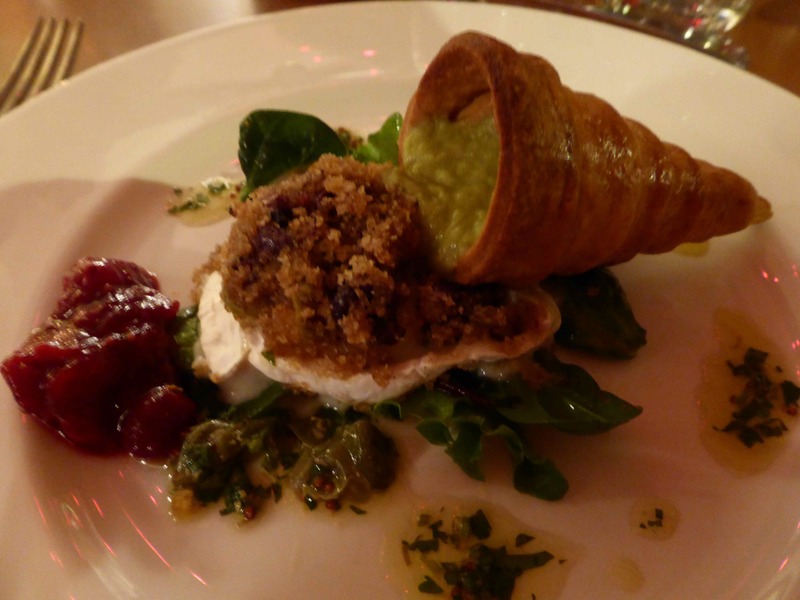 We had warm goat’s cheese with an olive breadcrumb crust, pastry cones filled with pureed leek, watercress and herb salad with caper, coriander and lime dressing and a rhubarb and cranberry chutney! It was fantastic. Our lovely hostess, Annette with James. The main course was duck with pomegranate and a jus made by reducing a bottle of Port and a bottle of red wine with butter and possibly other things added. It was incredible. I wanted to lick my plate! 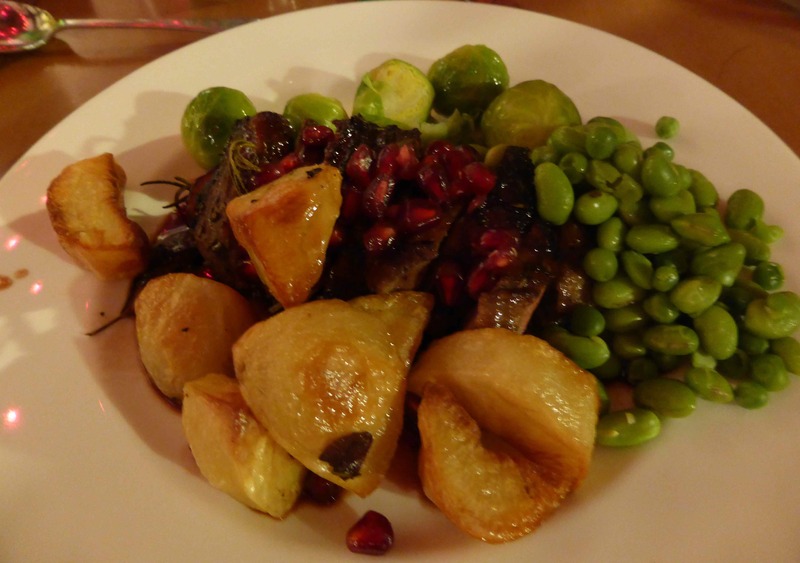 Served with roast potatoes, Brussel sprouts and soya beans. 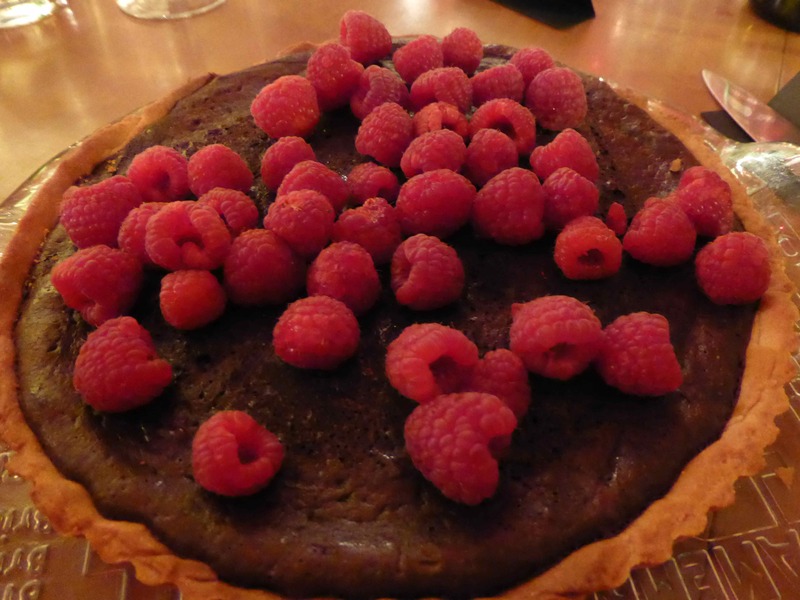 This was my contribution – a chocolate tart with raspberries. It was dark and rich but dairy free so Harvey could have some. 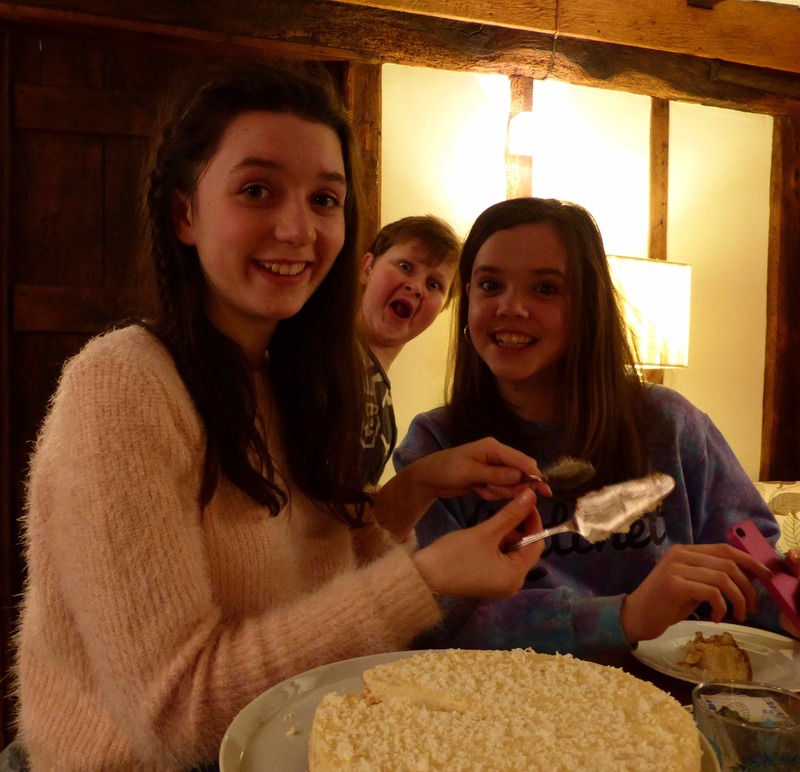 Rosie and Ella are cutting up a white chocolate cheesecake and Neil brought a gateaux made with pannetone, mascarpone, pomegranates and pistachios. Obviously I tried all of the desserts ! 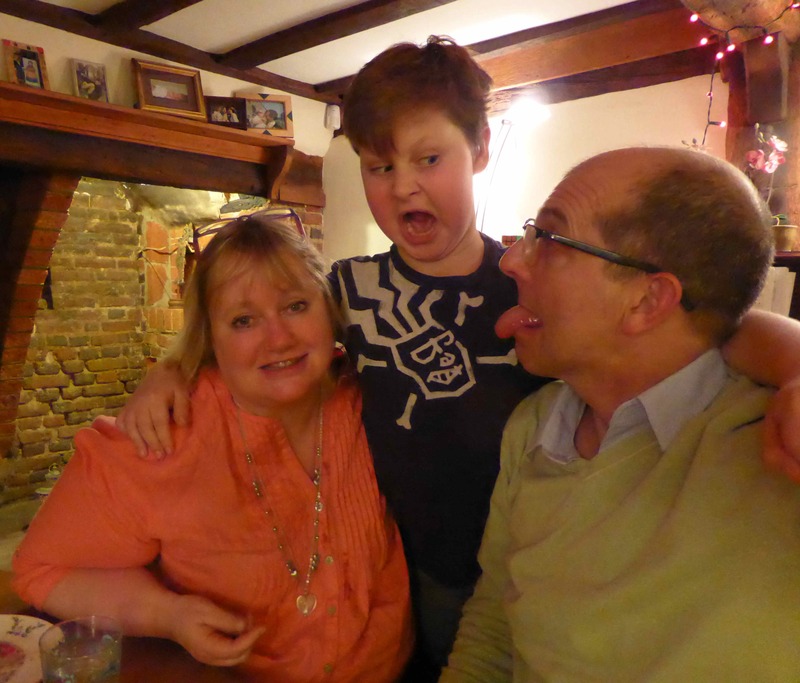 We had such a lovely evening. We ate wonderful food, drank lovely wines and champagne, we had a sing song, played games and tottered back down the hill at about 3 am. 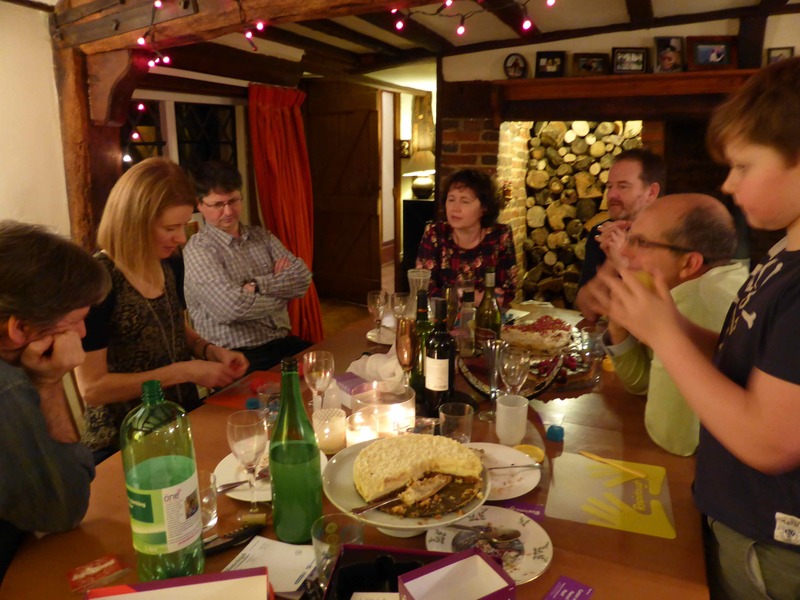 It was a wonderful NYE; thank you David and Annette and friends. So New Years Day. Hello 2014. I am giving up sugar again. For January I am also giving up dairy and wheat. I eat far too much butter, cheese and bread. So I am not going to have them. I will try adding dairy and wheat back when I am used to eating without them but I want to give up sugar permanently. For January I am also keeping off alcohol. 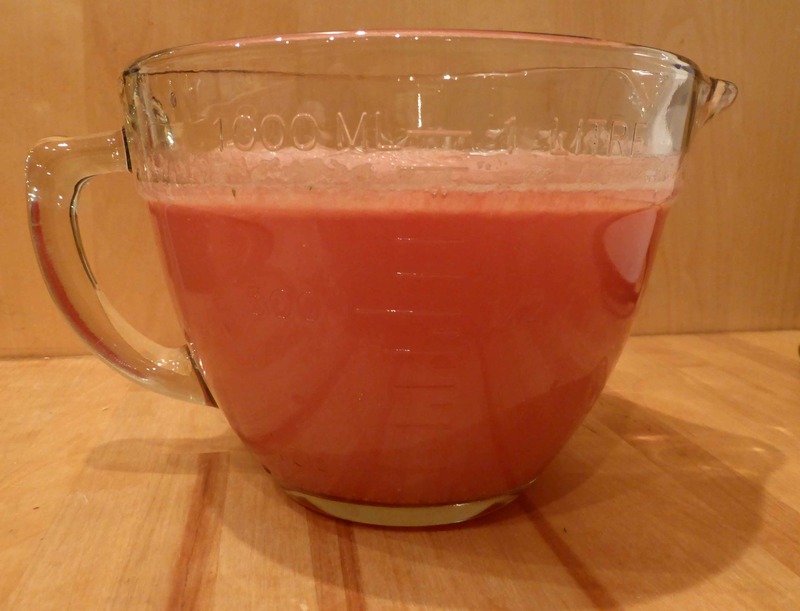 I am going to give my weight loss a kick start by following a 3 day juice fast. This is not recommended when giving up sugar as no juices should be drunk as they are too high in fructose. However, I need a boost and to break the bad habits I have been in recently. 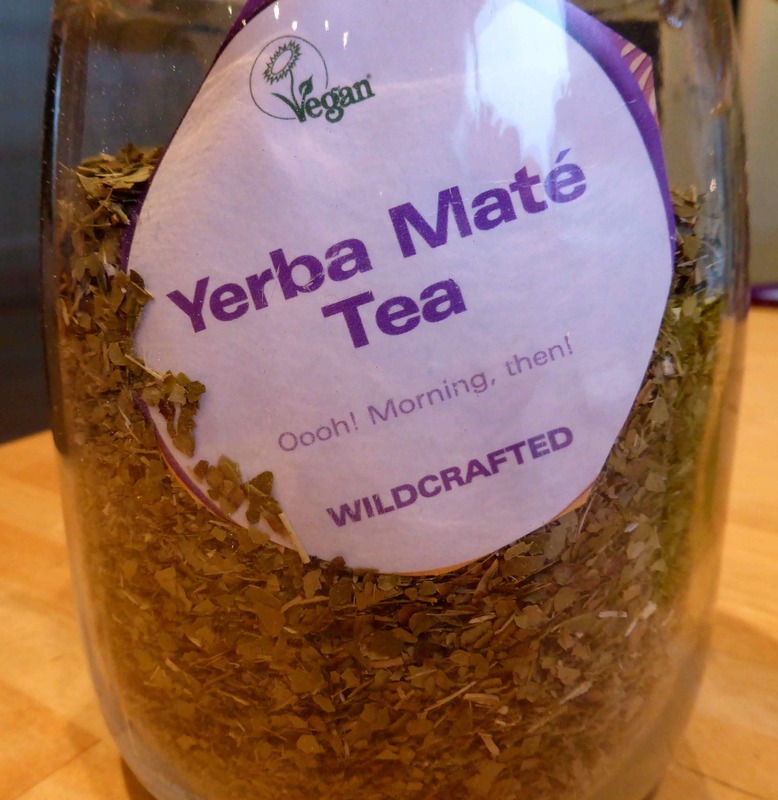 I began the day with a mug of Yerba Mate. No milk or sugar. 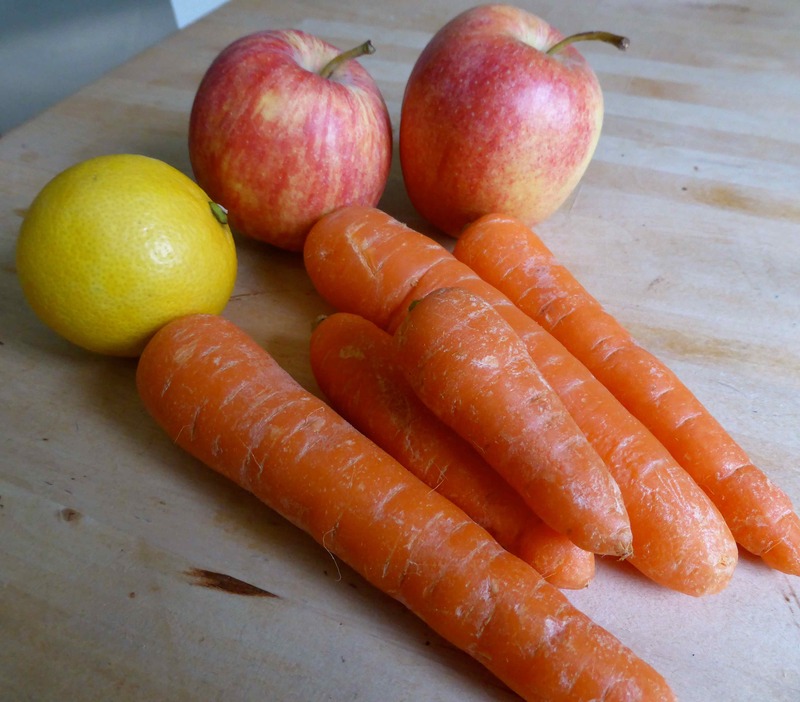 Juice 1 was made with 5 carrots, 2 apples and a lemon. It was quite sweet but that made it easy to drink. 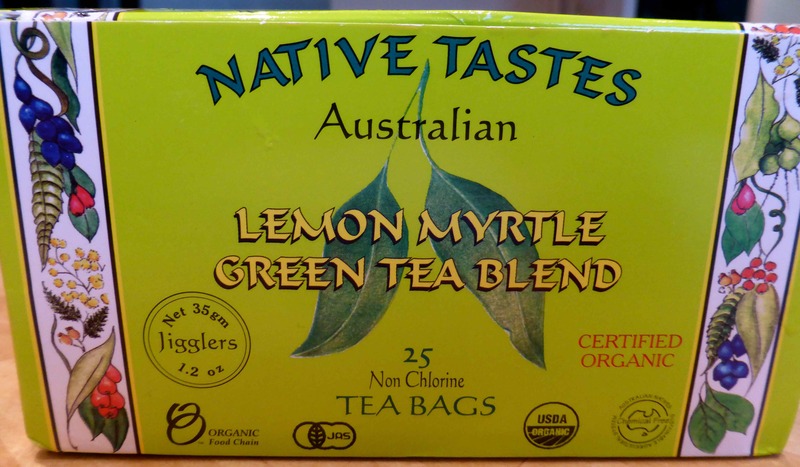 I love this tea; it tastes uplifting and bright and smells incredible. I had a glass of coconut water. 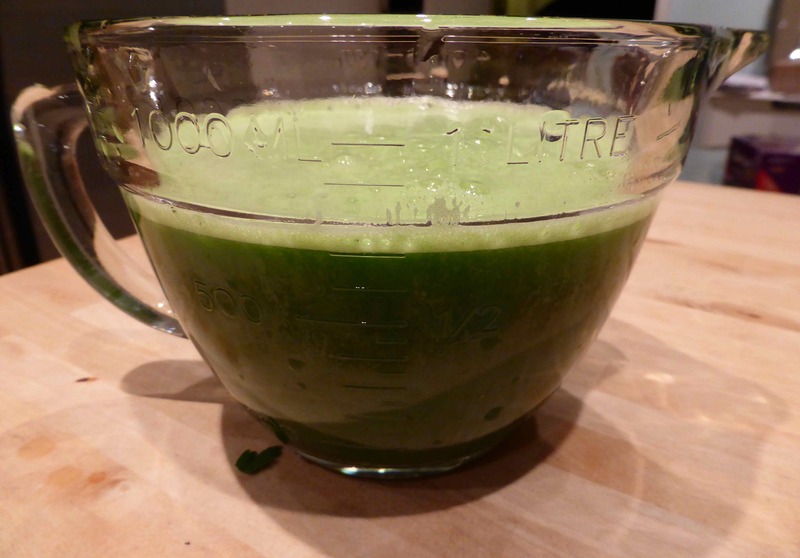 Second juice was made with 2 cucumbers, 2 apples, kale and parsley. This made a large quantity of juice. 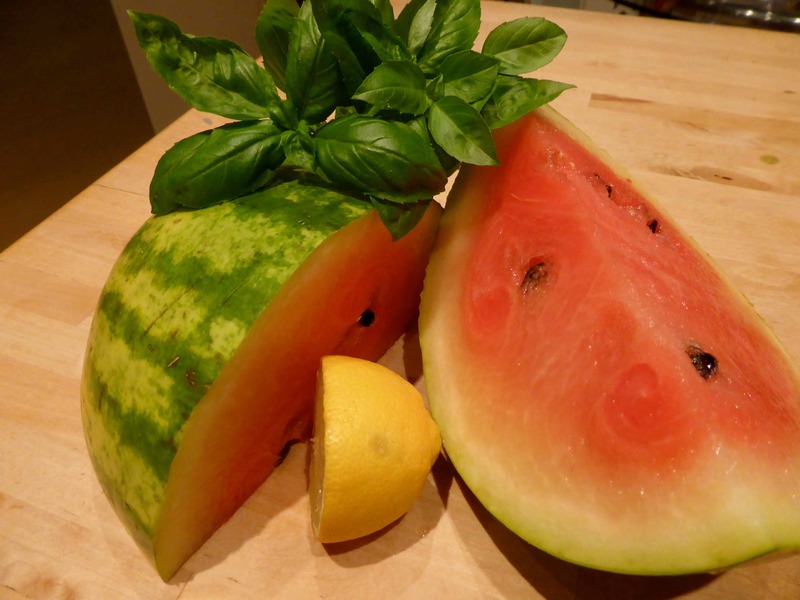 The basil and watermelon were wonderful together. I think I will end my day with a mug of camomile tea and an early night. 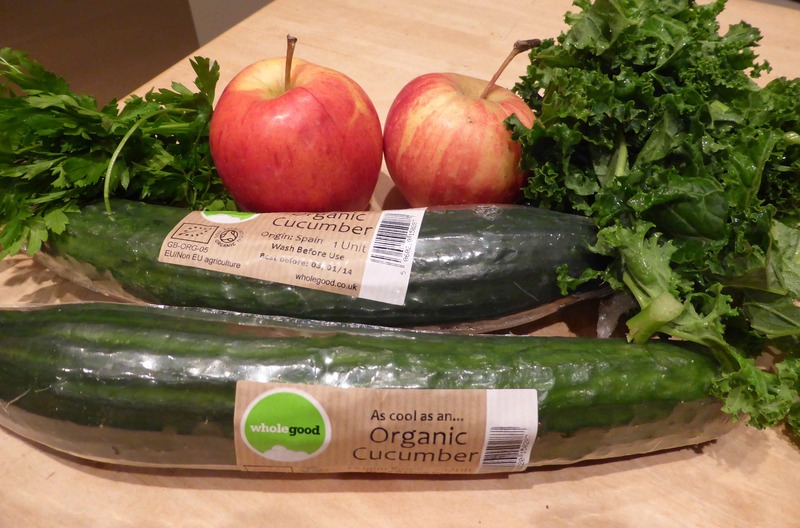 I am pleased I stuck to my juice fast today, it was actually easier then I thought it would be. 1 day down, 2 to go. Yummy. It looks like you and I drink the exact same Coconut Water. 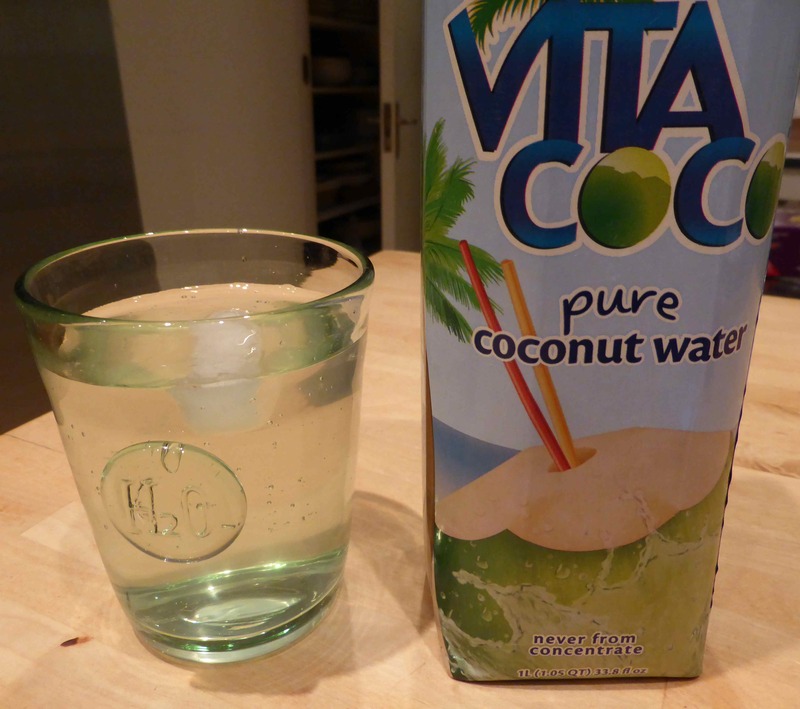 It was suggested by an Herbalist for me to drink Coconut Water to help balance the unbalance going on with my body the last couple of months. It is an acquired, but really nice taste. I love mine with Lime. Just like the song. Happy New Year and keep putting one step in front of the other. I quite like the taste. 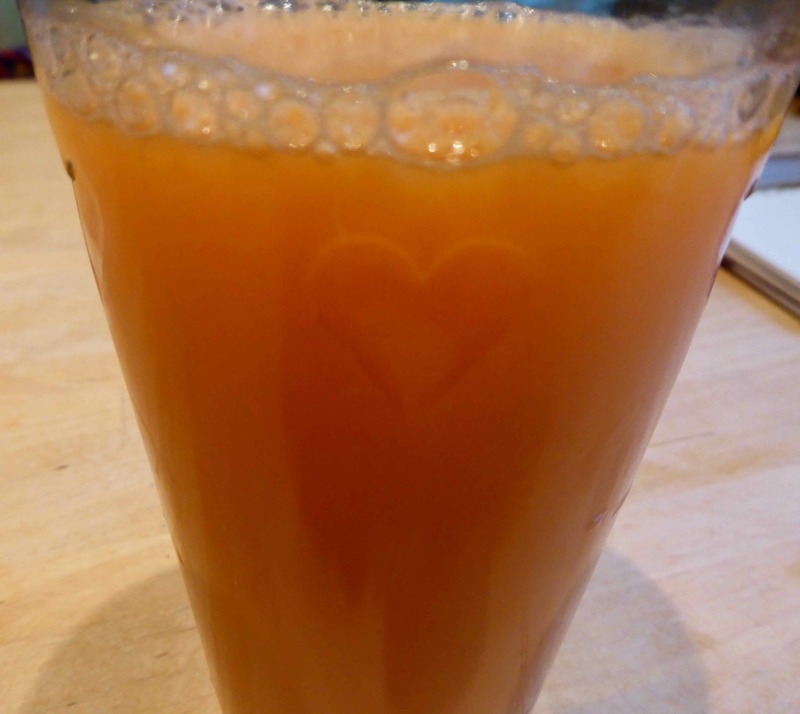 The juice fast programme recommends a glass a day. I forgot to buy limes so will look out for them.